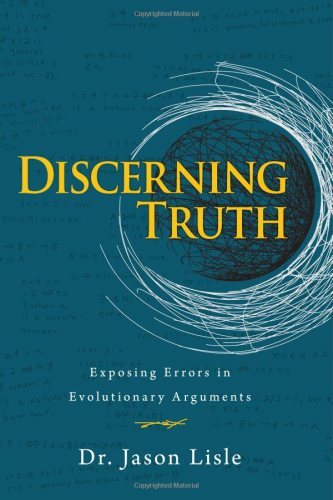 This book would have been more apply named “Discerning Lies.” This is an excellent resource, one I strongly encourage every Biblical Christian apologist to buy. The judge asked the farmer if he was using any measure. The farmer replied, "Your Honor, I am primitive. I don't have a proper measure, but I do have a scale." Recently I read the book Two Wars, the autobiography of a US Ranger by the name of Nate Self. All I can say is – wow, what a great book! In my newest book, Homeschooling for the Rest of Us (Bethany House, 2010), I talk about outward versus inward obedience. When parents write to ask me questions, one of the most common questions I receive is exactly HOW to train your child to have inward obedience with a cheerful heart versus the outward appearance of obedience when there really is no compliance there. DID YOU KNOW? That the web site www.scienceagainstevolution.org presents scientific evidence that falsifies macro-evolution. Check it out. DID YOU KNOW? That Richard Milton author of the book "Shattering the Myths of Darwinism" was a secular writer and list 11 myths of neo-Darwinism. Check it out. humans comes as no surprise for biblical Creationists: 6,000 years. God works through you in every small act of kindness, and each encouraging word that brightens someone's day. Your encouragement reveals God's love to others. Encourage someone today with this message!